The end of Windows XP? 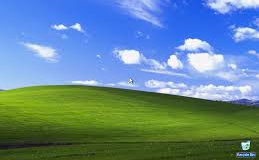 Almost two years ago Microsoft announced it would stop all support for Windows XP in April 2014. Windows XP will continue to work, but there are implications for your business that should be understood so you can decide what action you might need to take. Windows XP was released in 2001 and since then Microsoft have released Windows Vista, 7 and most recently 8. At thirteen years old Windows XP is still incredibly popular and as of December 2013 NetMarketShare.com estimate it still has around 29% of the desktop operating system market. That’s a phenomenal run, but it’s time for a change and on April 8th 2014 Microsoft will drop all support for Windows XP. If Windows XP will continue to work and you have never contacted Microsoft for support you’re probably thinking why should I care? The problem lies with the security updates that Microsoft release each month and these will stop for Windows XP in April. No more, ever. New security problems are detected in Windows operating systems every day. For supported versions of Windows Microsoft create updates to fix these problems. After April, with no new security updates, hackers and virus writers will be able to find new ways to attack your unprotected systems and data. Microsoft will do nothing to prevent it. Many of the security problems in later versions of Windows also exist in XP. This means that hackers are able to look at security patches released for later versions of Windows to see which problems have been resolved and how they were fixed. Armed with this information, hackers can write viruses targeted at specific security problems within XP, safe in the knowledge that the problem won’t ever be resolved with a security update. Every patch and service pack released after April 2014 will represent a new opportunity for hackers to identify vulnerabilities in XP. Your business probably won’t be selected individually for an attack but viruses written specifically for XP could easily spread over the internet via malicious website links, email attachments or removable USB storage devices. What can you do to protect your network and business? The bottom line is that if you’re still running Windows XP, the time has come to upgrade. We all know change can be hard but there have been huge technological advances in Windows operating systems since XP. Windows 7 and 8 offer better performance, more features and are much safer in terms of vulnerability to malware and virus attacks in comparison to Windows XP. At the moment it is still possible to buy new computers with Windows 7 installed from Dell and HP. Rumour is that after October 2014 it may only be possible to buy new computers with Windows 8 installed. Just as importantly, Windows 7 is supported until 2020 and Windows 8 to 2023 so any investment now will help keep your computers and data safe and secure for years to come.